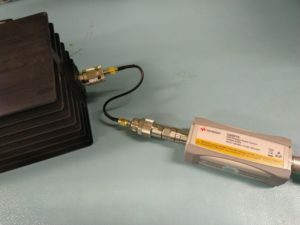 Lab where I work lately bought a Keysight U2001A RF power meter. It was an expensive, but is a nice device. Since the software that you have to use was subscription only I wrote my own GUI to take measurements. As all USB connected measurement devices, this power meter needs a software to display the measurements. As it turns out, the only supported GUI for this and many other similar devices is Keysight BenchVue. BenchVue is a good and big tool for big labs, but comes with its problems. As many electronics software - it is Windows only. It also is around 1GB big and has its own license servers. Also you have to pay subscription fee. After buying measurement device for multiple thousands of euros, you also have to pay monthly subscription fee to use your legally owned measurement device. All this seemed a bit much for me, to just take simple RF power measurements so I wrote IviGui. Most connected devices provide a way to program scripted test automation. This particular device uses USBTMC. So I took python-usbtmc library and wrote a simple GUI on top of that to measure and display this measurement continuously. I also added some features that I felt, were missing in the gigantic BenchVue application. Like a blinking dot to indicate when an actual measurement is updated. Also a clear and simple way to do relative measurements to subtract cable and attenuator losses. At the moment the GUI script only works with this device and doesn't offer all the functionality of the device. But I'm sure it can be used with other similar USB RF power meters with only minor changes.